RMT steps up fight over ticket office closures across Greater Anglia franchise. Rail union RMT confirmed today that it is to step up a campaign to fight the planned programme of ticket offices closures the length and breadth of the Greater Anglia franchise after the company refused yet again to give a cast iron assurance that all ticket office jobs and windows will be kept open for the length of the current franchise. Recent union/management discussions have focused on Greater Anglia’s continued failure to provide nothing but vague statements, ambiguous commitments on jobs and an unclear strategy on how it intends to encompass ticket offices and staff into its plans for the remaining nine years of the franchise. 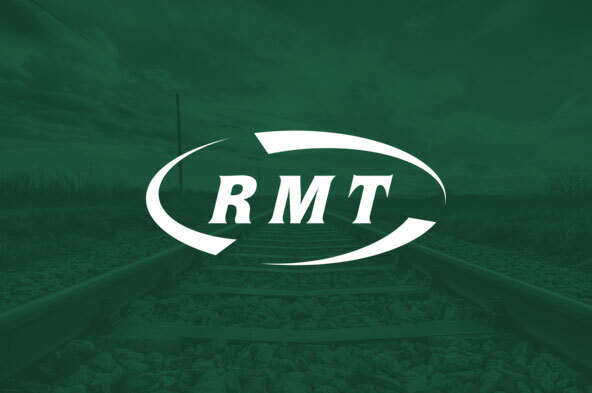 RMT has made it clear to the company that members need more than promises from management to “monitor” the future use of ticket offices as it is our members’ jobs and livelihood that are at stake. RMT’s NEC has now taken on board the above discussions and has agreed to re-launch the union’s Save Our Stations campaign, to defend at-risk ticket offices and our members’ jobs. As part of this campaign the union will be producing leaflets for public distribution and building up a head of political and public steam behind the fight to defend jobs and services. Back in May, the company informed the union that across the Greater Anglia network they currently have 64 ticket offices with an establishment of 358 ticket office staff. The company, which currently holds the franchise until 2026, told RMT officials that it is their intention to only have 7 remaining traditional ticket offices. These will be located at London Liverpool Street, Colchester, Norwich, Cambridge, Chelmsford, Ipswich and Stansted Airport. Since RMT blew the whistle on the plans Greater Anglia have thrown out a barrage of misleading propaganda and have attempted to erect a smokescreen around their intentions rather than answering simple questions and coming clean. “RMT has given Greater Anglia plenty of time and ample opportunity to give us assurances on the future of their ticket offices and the jobs that go with them. They have failed, and, like the general public, we suspect the worst and that means a ticket office wipe out the length and breadth of the franchise. RMT is pledged to fight that ticket office carnage, and fight it we will. “The union has made it clear that we are appalled at this planned attack on ticket offices and station staff across the Greater Anglia franchise which would wipe out the vast bulk of these vital passenger services over the next year. The union will fight with every tool at our disposal to halt these disastrous plans which are all about cutting public services to pump up private profits.